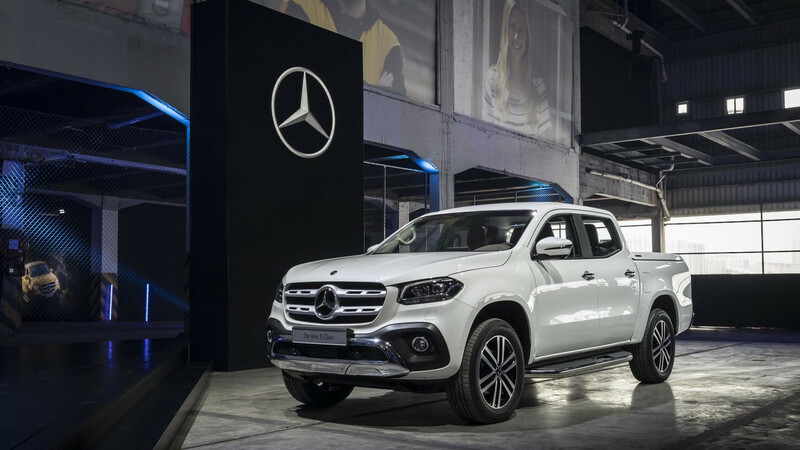 Mercedes is dipping its toes into the pickup truck segment with the X-Class, which has been under fire lately for borrowing its underpinnings from the Nissan Navara. As you may recall, the concept was unveiled a little over a year ago during a glitzy event held in Stockholm, Sweden and since then it has morphed into a production model. As it’s the case with nearly all models, the road-going version doesn’t look quite as posh as the showcar seen here. The concept was introduced with a double personality: “powerful adventurer” and “stylish explorer.” This video features the latter riding on those large 22-inch alloy wheels and featuring a more exciting body painted in a color that Mercedes likes to call “cool elegant white metallic.” The production X-Class can’t match the pizzazz of the concept before it, especially when it comes down to the front and rear fascias that look more high-end on the concept. We also have the opportunity to take a closer look inside the cabin, which although hasn’t changed that much on the final 2018 X-Class, the quality of the materials appears to be better in the case of the concept. If you’re wondering why the side mirrors are gone, chances are Mercedes decided to take them out to squeeze the pickup truck inside the showroom’s doors. The video goes to show this is a working concept, powered by a diesel engine, as it’s going to be the case with the production X-Class. Buyers will get to choose from four- and six-cylinder turbodiesel engines, with the top-of-the-range unit being a V6 sending 258 horsepower (190 kilowatts) and 550 Newton-meters (405 pound-feet) of torque to a standard AWD layout through a seven-speed automatic transmission. 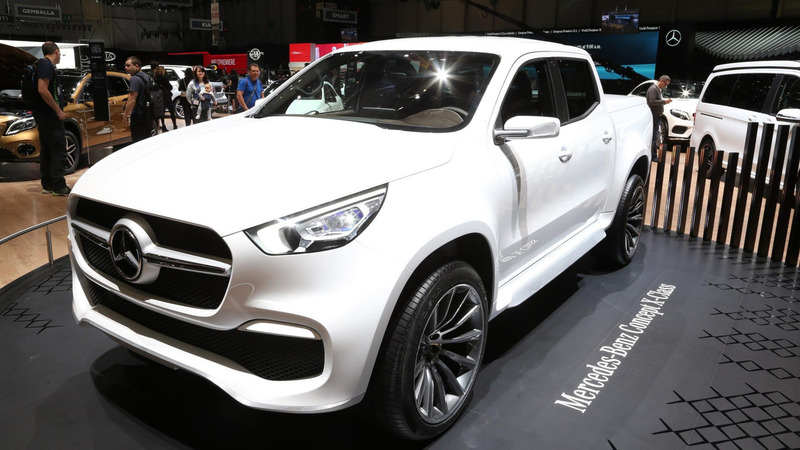 The jury is still out on the success of the X-Class since deliveries haven’t even started yet. 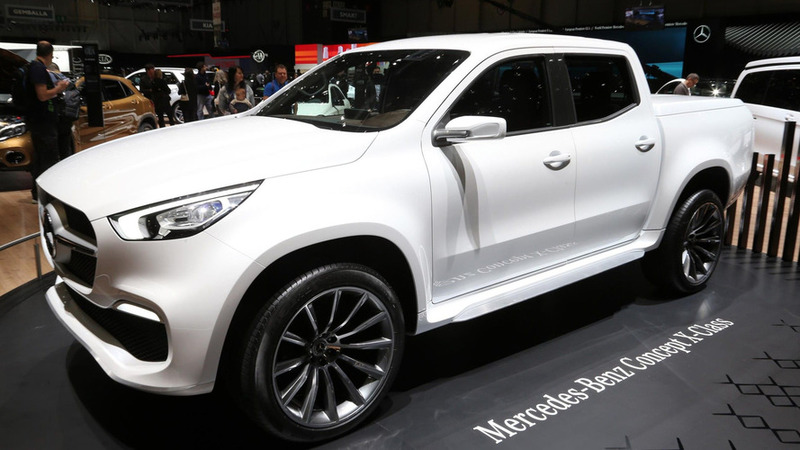 In charge of production will be Nissan and Renault as the pickup truck won’t actually be built by Mercedes, thus fueling the controversy behind the decision to green-light the workhorse carrying the three-pointed star badge.